Do you want a unique alternative to ordinary doors? We install commercial glass doors that make your business stand out from the rest. Our custom glass doors create an impressive entrance for any business, restaurant, or retail store. 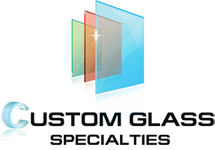 Custom Glass Specialties provides a level of service and quality that is unsurpassed in the area. 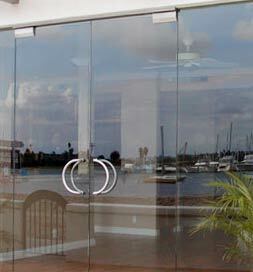 We replace and install new, custom commercial glass doors in San Diego, CA, and the surrounding areas. Since first impressions are everything, your customers shouldn't have to walk through an unattractive front door. Upgrade to a better and more beautiful door by relying on our team for commercial glass door installation. You'll find that we offer competitively priced products and high-quality workmanship. In addition, if you have existing storefront glass, we are careful to match your new glass door to it. If you'd like, we can redesign your entire storefront for you. We offer a wide variety of storefront glass products that cater to your specifications and your budget. Allow our commercial glass door installers to provide a free consultation today. Exceptional workmanship is very important when you need commercial glass door installation. We have been installing commercial glass doors and storefronts since 1989. With more than 20 years of experience in the industry, we ensure your products fit perfectly and live up to your expectations. Best of all, we install glass doors of all types, styles, and sizes. Don't order your commercial glass door from a shop that isn't locally owned. You never know if your door will fit. Instead, depend on our locally owned commercial glass door company for custom doors and convenient installation services. We take the time to visit your location, take accurate measurements, build your door, and then install it for you. In addition, because we are family owned, you'll always receive preferential treatment. Depend on a team that has solid experience and excels at highly refined craftsmanship. All of our commercial glass door installers have years of experience in the industry. In addition, our sales staff is friendly and more than willing to answer all of your questions. We take pride in our workmanship, friendly customer service, and our exceptional finished products. Contact us to request a quote for new commercial glass doors. We proudly serve residential and commercial customers in San Diego, Chula Vista, Carlsbad, Rancho Bernardo, and Mira Mesa, as well as the surrounding areas.